I am really excited to have started taking NeoCell Beauty Builder Vitamins these are great beauty vitamin that has collagen built in them. I have noticed my hair to be more shiny my skin has a glow to it. I have also noticed my nails tend to grow faster when I started taking these vitamins. So if you're looking for a great college and vitamin that helps skin hair and nails check Neo sell beauty builder vitamins out you won't be sorry. These pills are actually not bad they have a semi coating where they are slicker so they're easier to swallow. If you have problems swallowing pills these pills are not bad at all to take. Imagine a pill that helps improve the look and health of hair, skin and nails. 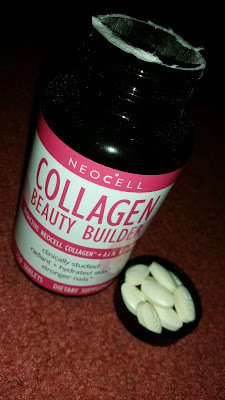 It's here and it's NeoCell Collagen Beauty Builder! A more beautiful outside begins by creating a healthier inside. 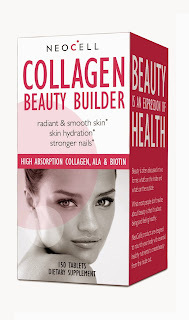 Collagen Beauty Builder comes in a 30 day supply and has a suggested retail price of $19.99. It is available through retailers nationwide.